ITALY: Italian police in Sicily have made five arrests, including a town mayor, following an investigation into work commissioned for two Iberdrola-owned wind farms near Messina. The Nebrodi wind farm consists of 76 Gamesa G52- 850kW wind turbines. According to Windpower Intelligence, Iberdrola partnered with Italian company Api Nova Energy, part of Grupo Empresarial, to build the project. It said Alcantara was developed by Societa Energie Rinnovabili, which is 50% owned by Iberdrola. The wind farm - one of Italy's largest - continues to be operated by a court-ordered administrator after being confiscated by judicial authorities last July, an arrangement that could potentially last for years. 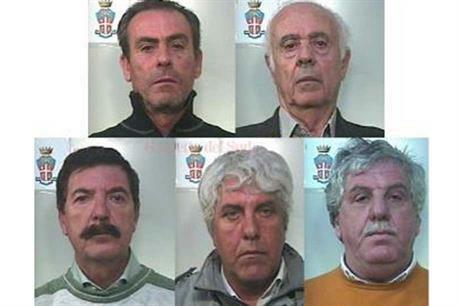 Investigators believe the Arena clan, part of the Calabrian 'Ndrangheta criminal association, invested in the wind farm through the use of shell companies and frontmen. It was designed to set the record straight after months of media reports closely associated the country's wind business with criminal activity. Analysis - Is the Italian mafia turning green?